Marianne Spiller, our fellow community member @sys_adm_ama, told us last week during Icinga Camp Berlin that she was about to publish an article about the Icinga Director. 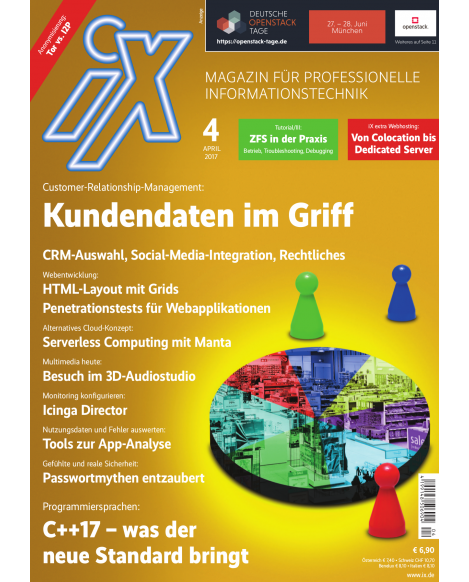 Today the iX magazine 04/17 was published and page 62 features Marianne’s article. Mein Artikel hat es sogar aufs Deckblatt geschafft.